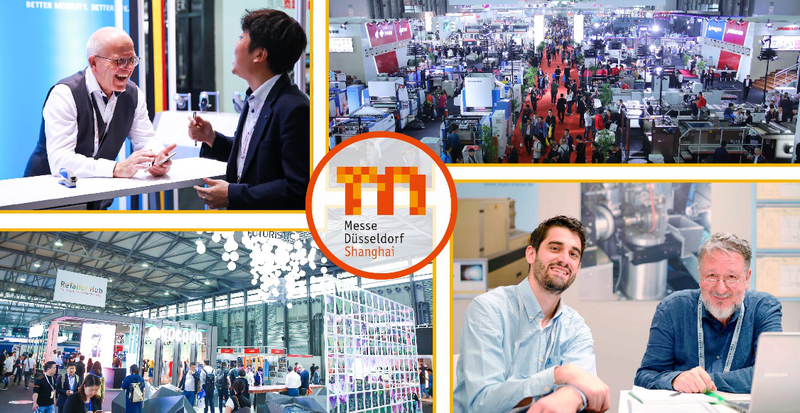 Messe Düsseldorf China (MDC) and Messe Düsseldorf Shanghai (MDS), the subsidiaries of Messe Düsseldorf GmbH, among the world's top 5 exhibition organizers, achieved record-breaking trade fair results in 2018. With a clear focus on mainland China, Messe Düsseldorf Shanghai organized a total of 12 Trade Shows and Conferences adding up to some 656,000 gross square meters of exhibition space, a +32% year-over-year increase (compared to 2016 due to the trade fair cycles). A total of 8,761 (+20%) national and international exhibitors came together to showcase their latest products and solutions to some 440,000 visitors (+32%). For global trade shows, in 2018, Messe Düsseldorf China supported 26 world's leading shows hosted by Messe Düsseldorf Group in 9 countries, helping some 2,800 Chinese companies gain access to global markets. Axel Bartkus, General Manager of Messe Düsseldorf Shanghai and Managing Director of Messe Düsseldorf China, is greatly satisfied with the company's new record and results: “The trade fair year 2018 was extremely successful for Messe Düsseldorf in China. The development and results reflect upon the extensive brand-building we've done in the world's most dynamic market. Our portfolio delivered a strong performance and created the perfect platform for business, networking and knowledge exchange for our customers". As far as its show portfolio is concerned, Messe Düsseldorf China and Messe Düsseldorf Shanghai remain stronger than ever in 2018. The first satellite exhibition of MEDICA in China, Medical Fair China (MFC), successfully came to an end covering a gross area of 10,000 sqm and attracting 5,478 visitors to meet the leading medical innovators. The returned biennial shows, All in Print China, wire China/ tube China and COS+H, set records in their history on exhibition space as well as exhibitor and visitor figures. In 2018, a major part of record-breaking exhibition space and visitor numbers was driven by the flagship industrial brands: All in Print China and wire China/Tube China. As the worlds' largest printing exhibition in Asia, All in Print China 2018 welcomed a total of 100,933 visitors across the globe, a 31% increase compared with the last edition. Occupying a total exhibition space of 110,000 sqm (a 34% increase than the last edition), 1,030 leading companies presented everything that printing industry has to offer in terms of technology and service. In addition, 53 overseas buyer groups from 22 countries joined the event this year, further demonstrating its strength on internationalism. As the flagship event in wire, cable, tube and pipe industry, wire & Tube China has once again reached new record on visitor number. The four-day exhibition attracted 45,120 professional buyers from 91 countries and regions, an increase of 6.9% over the last edition. Responding to the huge demand in the Chinese retail market, C-star concluded its fourth edition with great success. This year, the fair attracted 12,979 visitors (2017: 8,476) from 44 countries and regions, which is a 53% increase from last year. ProWine China, the international trade fair for Wine and Spirits, saw its biggest event ever since its debut in 2013. Over 750 exhibitors from 36 countries along with 18 country pavilions and 7 region pavilions came together to show their products, a 20% increase than last year. Also, visitor numbers peaked reaching 18,936 visitors, a 33.2% increase compared to 2017. In 2018, The 9th edition of China International Occupational Safety & Health Exhibition (COS+H) moved to Hangzhou the first time, hit a new record and outstanding results. The total exhibition space expanded to 35,000 sqm, achieving a 40% increase than the last edition. Over 53,000 experts and visitors came to the show, making COS+H as a trend-setting benchmark for the industry. Messe Düsseldorf Shanghai keeps a close eye on markets and trend. Seeing the Made in China 2025 in implementation and the rapid growth of intelligent manufacturing in China, iManufacturing - Asia’s Leading Exhibition for Intelligent Manufacturing & Integrated Solutions will debut in Shanghai from November 25-27, 2019, aiming to accelerate China’s manufacturing industry with forward- looking Industry 4.0 solutions of exhibitors of global reach. The fair will collocate with the biennial show "swop - Shanghai World of Packaging" to foster effective resource sharing - especially in terms of high-class visitors. In addition, ProWine ASIA will also return in Hong Kong next year, once again serving as the perfect platform for export-oriented producers of wine and spirits across the world. As the leading Asian trade fair for industrial valves and fittings, the Valve World Expo Asia will move from Suzhou to Shanghai in August 2019 to facilitate its further growth on show scale. 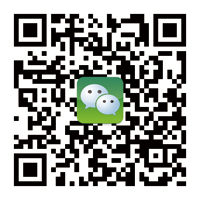 For further information on Messe Düsseldorf Shanghai, please follow MDS WeChat and LinkedIn or visit www.mds.cn. Messe Düsseldorf (Shanghai) Co., Ltd. / Messe Düsseldorf China Ltd. Established in 2009, Messe Düsseldorf (Shanghai) Co., Ltd. (MDS) is a subsidiary of Messe Düsseldorf GmbH, one of the world's top 5 exhibition organizers. MDS is committed to introducing industry leading trade fairs to China and providing Chinese and international customers with superior exhibition services. MDS is successfully holding more than 20 leading trade fairs and conferences in China, covering a broad range of industries including printing, packaging, wire and tube, plastics, renewable energy, medical devices, retail, safety and health, wine & spirits and caravanning. With a workforce of some 70 fulltime employees, the company's head office is located in Shanghai with a branch office in Beijing. The worldwide outbound exhibition business (trade shows in Düsseldorf, Germany and other leading Messe Düsseldorf Global Shows) is organized by Messe Düsseldorf China Ltd. (MDC), serving Chinese exhibitors and visitors with superior customer service from its office in Hong Kong. Visit www.mds.cn for more information.